‘Tis the season of giving. 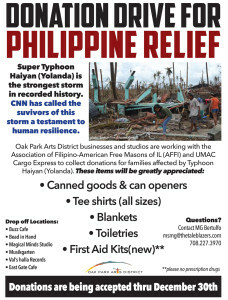 My friends and I in the Oak Park Arts District are organizing a Donation Drive for the Philippines through December 30th. 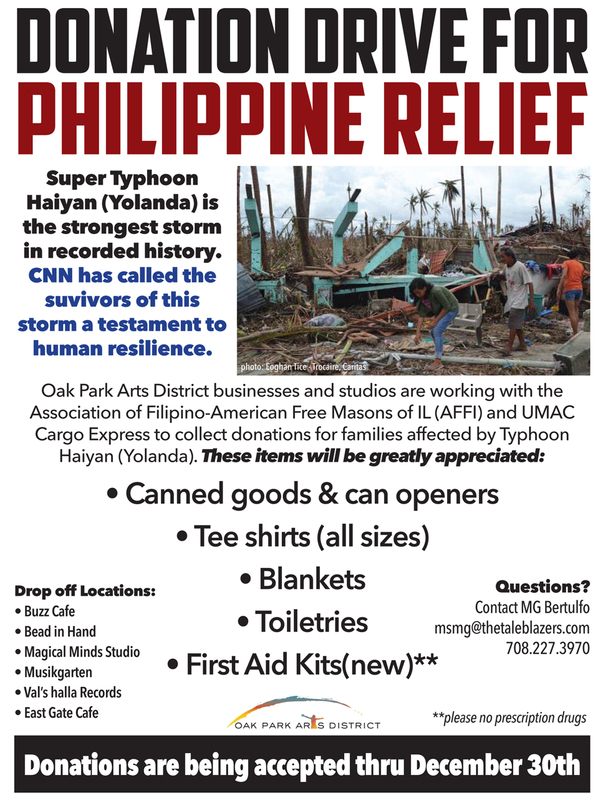 Please consider donating canned goods, tee shirts, first aid kits, blankets, or toiletries to the families devastated by Typhoon Haiyan (Yolanda). Drop boxes are located on and around Harrison Street: Buzz Cafe, Magical Minds Studio, Bead in Hand, Val’s Halla Records, Musikgarten of Oak Park, and East Gate Cafe. Spread the word. Thanks, in advance, for your generosity of spirit!